The Western States of California, New Mexico, and Arizona over the past week have been ravaged by extremely hot weather, dry conditions, and high winds. The extreme weather has led to widespread wildfires across the West that has many local residents evacuating their homes and businesses before the fires reach their property. Unfortunately, many of the fires are barely contained and are actually expected to spread even further with a heat wave predicted early next week. While all of the fires pose a substantial risk to both people and property, perhaps the most difficult of the 3 main fires burning thousands of acres across the Western States is what is being called the Sherpa Fire in Santa Barbara County, California. 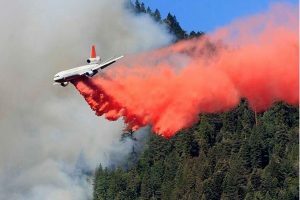 The fire started Wednesday afternoon and quickly burned through the steep, rugged terrain, according to reports. Overnight gust winds reaching up to 45 mph have only made matters worse. A state of emergency has been declared and mandatory evacuations are in place for the following areas, affecting over 400 local residents: Refugio Canyon, Las Flores, Venadito, El Capitan Campground, El Capitan Canyon, El Capitan Ranch and Refugio Campground. In addition, the 101 freeway was shut down temporarily after the blaze was burning just a quarter-mile from the highway near the Refugio Campground. As of Friday, only 5% of the fire has been contained as some 4,000 acres have burned. 1,200 firefighters continue to fight what is being called “one of the worst fires in California’s history” as temperatures and winds are expected to increase over the weekend and into next week. The fire that has burned across the most acres is the Dog Head Fire near the city of Chilili, New Mexico. Almost 17,000 acres have burned as mandatory evacuations have been ordered for residents in the area. Additionally, the National Weather Service has issued an air quality alert for the area. This is what we know so far. What you might not know is that there have actually been 6 fires in New Mexico, Arizona, and nearby areas in just the past month or so. Can you say “Fire Season”? 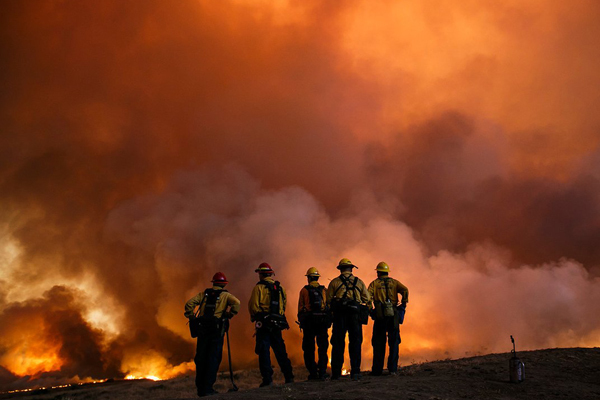 These include the Jack Fire in Central Arizona, the McKenna Fire in Silver City, New Mexico, the North Fire southwest of Magdalena, New Mexico, the Spur and Turkey fires at the Gila National Forest, and of course the largest of them all the aforementioned Dog Head Fire, just 25 miles southeast of Albuquerque, New Mexico. 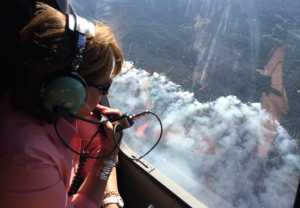 Governor Susana Martinez declared a state of emergency on Wednesday as the wildfires have been 0% contained thus far. To the west of New Mexico, residents in the city of Show Low, Arizona are on standby as firefighters strategize how to deal with the Cedar Fire that continues to spread to the south of the city. As of today, nearly 9,000 acres have been burned but luckily no homes have been lost as of yet. Residents of Show Low and nearby communities are in “pre-evacuation” stages as they wait to see if the local firefighters strategy to “burn out” the area and stop the fire is successful. A heat wave is expected next week in many of the Western States already affected by the dangerous wildfires, and Arizona is certainly no exception. In fact, temperatures are expected to reach up to 120 degrees in Arizona so it is advised to stay indoors due to both the heat and the poor air quality in Arizona as a result of the fires. When it comes to wildfires, the most important thing is the safety of you and your family. With this in mind, always follow proper evacuation procedures when dealing with a nearby fire. The Cal Fire website has a great downloadable and printable Evacuation Protocol that outlines Evacuation Orders, Laws, Tips, and other resources you might need during an emergency fire event.